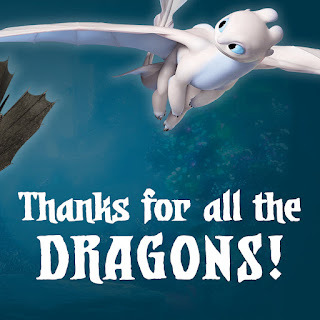 This video of over a hundred dragon fans from Berk's Grapevine and beyond saying "dragons" is dedicated to the Dragon creators who contributed to the world of How to Train Your Dragon. Thank you for all of your creativity, hard work, and for the many years of dragons! We dragon fans are a diverse bunch! We're from all around the world and speak dozens of langauges. We all kinds of amazing character and dragon outfits. Some of us have seen The Hidden World more times than we can count! We read the books, watch the films and shows, have posters, graphic novels, action figures, stuffed dragons, and more, And we all love and appreciate How to Train Your Dragon! Did you participate in the video? Can you spot your friends? The amount of work everyone put into their submissions is crazy! Don't forget to rewatch and pause to spot the subtle details!